New Member Portal goes live tonight! 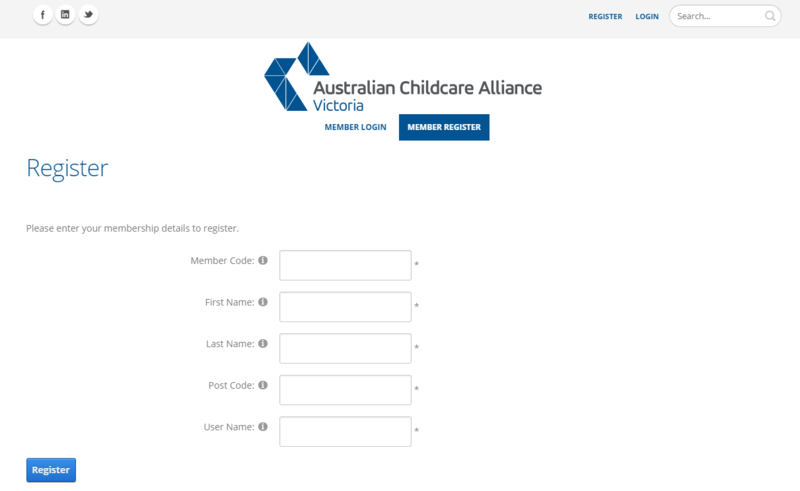 We're excited to announce that our new online Membership Management System will be live from 7.00pm tonight, 15 April! You will then be sent an email with a link to set your password - again this will be your choice. If you save these details in your browser, whenever you want to log in to our website, whether to access your account, member only information, or register for an event, you will go straight into the Member Portal. We hope you'll find the Portal easy to use as well as useful! ACA VIC 2019 conference celebrates the magic of childhood! ACA Victoria is delighted to announce that tickets are now on sale for our 2019 Excellence in Early Childhood Education and Care Conference. This annual conference is a "not-to-be-missed" event in the early learning calendar and will be held at Crown Conference Centre, Melbourne on Friday 16th & Saturday 17th August. This year our conference theme is "the magic of childhood", which celebrates the wonder of childhood and the importance of early learning in all children’s physical, cognitive, emotional and social development. With a new program of topics and speakers, the event will cover a range of topics including sector trends, elements of the National Quality Framework, and inspirational insights into how to run a better service. It will feature engaging and expert presentations, break out sessions for service operators, early childhood teachers and educators, an expansive trade exhibition and of course a wonderful opportunity to network with sector peers, stakeholders and suppliers. Dr Red Ruby Scarlet will be in attendance as Pedagogical Artist in Residence, and an Activity Hub will offer guests additional hands-on fun and learning. Tickets are now available, with Early Bird rates applying to 11 April, or for the first 100 tickets sold (whichever happens first). A recent report commissioned by the Australian Childcare Alliance (ACA), the Early Learning and Care Council of Australia (ELACCA) and Australian Community Children’s Services (ACCS) explores the factors that influence the demand for, and supply of, child care services across Australia. This independent analysis, prepared by Urban Economics, examines the results of a recent national survey of child care operators, looking at available places, enrolment, performance and key issues influencing individual centres and the sector more broadly. Please pdf click here (206 KB) for an article written by our Industrial Relations Partner FCB Group on the changes to Victorian Long Service Leave that came into effect on 1 November 2018.